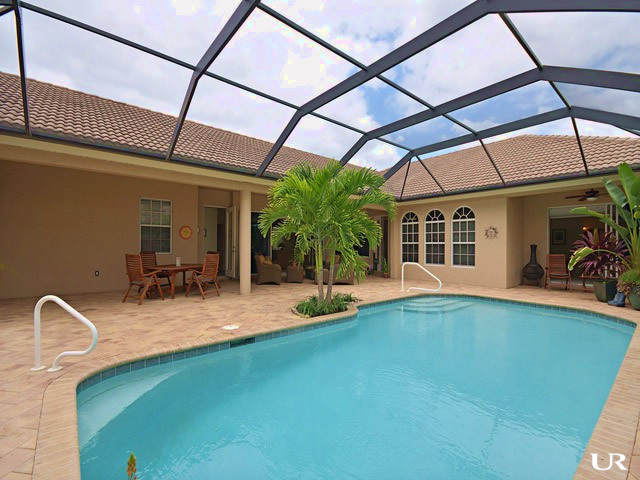 Foxfire established a new standard of living in Naples in the mid-80s when it became the first to offer equity membership in the golf and country club tied to the purchase of a home - now referred to as "bundled golf." Perhaps largely due to the bundled golf innovation, Foxfire set a record in 1987 for selling its entire collection of homes faster than any other community in the state of Florida to that date. Today, the 385-acre Foxfire community contains eight upscale neighborhoods with a total of 931 homes and three executive golf courses. The high-fashion Fifth Avenue district in Old Naples is a right turn and three miles from Foxfire’s gated south entrance on Davis Boulevard. King’s Lake is Foxfire’s neighbor on the south side of Davis Boulevard. Glen Eagle Golf & Country Club is about a mile to the east. The entire community extends all the way to Radio Road on the north. Fox Club is a neighborhood of low-rise condos on the north side of Foxfire near the end of Fox Glen Drive. The neighborhood has two private, heated pools, a spa at the north pool, and tennis courts for the exclusive use of Fox Club residents. Two and three-bedroom units range in size from 1,000 to 1,345 square feet. Each condo has assigned, covered parking. Fox Haven in a cul-de-sac neighborhood of condos in four three-story buildings. Three buildings have direct lake views. The other overlooks a grove of trees and the golf course just beyond. A pool, spa, cabana, and two lighted tennis courts are available for residents. The two-bedroom condos have square footages between 1,200 and 1,300 square feet and come with assigned, covered parking. Fox Hollow is a neighborhood of condos in a collection of two and three-story buildings with detached single-car garages located within walking distance of the clubhouse and the Foxfire Grille. There are two tennis courts and a 40-foot swimming pool in Fox Hollow. The condos are either two-bedroom or two-bedroom plus den and range from about 1,300 to 1,500 square feet. The condos in Foxwood are contained within three, three-story, courtyard buildings set on a circle at the end of Fox Glen Drive. The buildings have red, barrel tile roofs and feature two-bedroom, two-bath residences with 1,065 to 1,200 square feet under air. Each unit has assigned, covered parking to protect against hot Florida sun. Foxmoor is located in a secluded area on the west side of Foxfire and consists of condos in unique, three-story buildings with barrel tile roofs. Covered parking is included for each residence. Two-bedroom units average between 1,000 and 1,100 square feet. Foxfire Verandas is a neighborhood of attached villas with detached garages located in the northwest of the Foxfire community. The neighborhood features a secluded pool and a well-shaded tennis court. These condos range from 1,400 to 1,500 square feet with either two-bedroom or two-bedroom plus den floor plans. Foxfire Villas, along Fox Glen Drive, have either four or six attached villas with golf and lake views. The villas have either two or three-bedroom floor plans from 1,435 square feet up to 1,589 square feet, plus attached garages. Two tennis courts and a swimming pool are nestled in a heavily-treed circle in the center of the neighborhood. Single-family homes in Foxfire range in size from 1,433 square feet to about 2,900 square feet with two-bedroom, two-bedroom plus den, and three-bedroom floor plans. Well-maintained and stylish, homes for sale in Foxfire rarely sit on the market for long. The location along with affordable prices mean buyers will always have Foxfire homes on their list of must-see houses. With Foxfire's proximity to the beach and waterways, any kind of water sport is easy to get to. Marinas are nearby and the are plenty of boat landings around. If you want to get wet but without any hassle, just jump into your backyard pool. The golf course at Foxfire is an Arthur Hills masterpiece. Suitable for a wide range of skills, the 27-hole course is challenging with water hazards and strategically placed palm trees. New to golf? No problem. Golf pros are on site and they even have rental equipment if you're not ready to invest in a new set of golf clubs. Polish your technique on Foxfire's driving range and practice putting green. East Naples Middle School is adjacent to the west end of Foxfire, making it especially convenient for residents with children. Shadowlawn Elementary School is about a mile west and a quarter-mile south of Davis Boulevard. High school students attend Naples High, the home of the Golden Eagles. From school children to seniors, residents of all ages make Foxfire a great Southwest Florida and East Naples community.